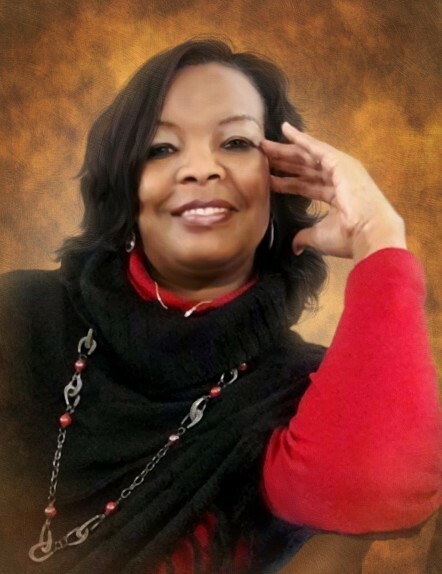 Sonya Denise Jones, born January 7, 1970, as a native and resident of Mobile, Alabama, transitioned from this life and was received into the presence of her Lord on March 18, 2019. Her legacy to empower teen girls to live out their God-given purpose and to be all that God has destined for them will be lived out through all who were graced by her presence. Though no longer here, rest assured that she will live on in the hearts of those who knew her. Sonya was preceded in death by her grandparents: Jack and Ida Sue Cannon, and Prelay Carter; parents-in-law, Reverend Eddie and Mother Edna Jones, Sr., as well as aunts, uncles, and cousins. Now, they are all together as a great cloud of witnesses cheering those of us who remain. Glory to God in the Highest! The blessings of her life journey began with receiving Christ as her Lord and Savior and developing a healthy, personal relationship with Jesus. She attended Living Word Christian Center under the leadership of Bishop Levy H. Knox where she was taught how to live a Kingdom lifestyle through God's Word. She is a 1988 graduate of John S. Shaw High School, Mobile, Alabama. She continued her education and received a B.S. Degree in Human Resources. She was currently employed as a teacher at Living Word Christian Center Kingdom Academy where education is joined with teaching the Word of God and speaking life into the lives of children. She is survived by loving and caring people: husband: Harold Jones, daughter: Amberly Jones; and son: Anthony Carter; mother, Carrie Cannon Pierce; Father, Charles Pierce Rasheed; sisters: Chantale Harris, Charlotte Ferguson, and Joyna and Joy Rasheed; Grandmother: Mildred Carter; aunts: Dorothy (Lawrence) Chapman and Kathyrn Kennedy; uncles: William (Ercel) Pierce and Caserdale (Toni) Pierce, William (Vera) Cannon, James Cannon, and Tommy Cannon; sister-in-law: Lynn Jones; brothers-in-law: Cliff Jones, Roosevelt Jones, and Robert Jones. Funeral services will be held on Saturday, March 23, 2019. Viewing: 9:30-11AM; Service: 11AM. Living Word Christian Center, 1401 Government St, Mobile, AL 36604. Bishop Levy H. Knox, Officiating.